We have a very exciting holiday program. 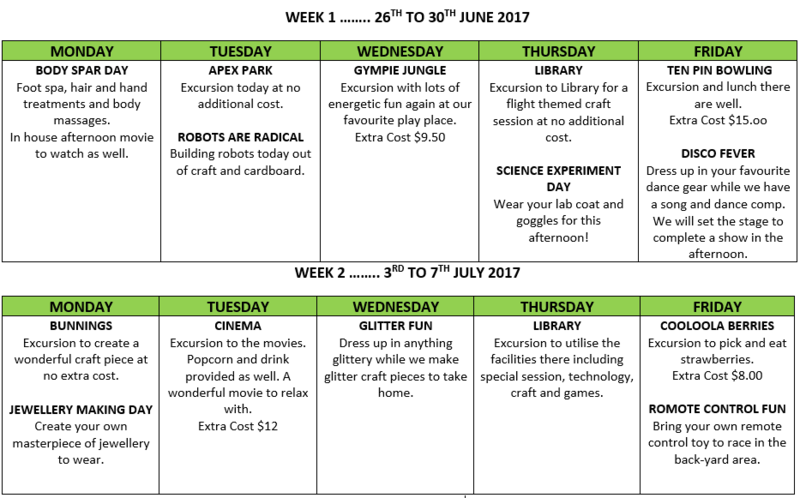 Our children will be out and about exploring all the best parts of Gympie as well as having fun activities every day in the centre. We have exciting excursions planned for most days. All meals are included. Your children will have a whole lot of fun, while making good friends in a safe and caring environment. If you would like to book please call or talk to Teresa – numbers are limited, especially on excursion days so please get your bookings in quick.